We’re feeling refreshed and ready to take on the week after such a gorgeous weekend. From where to celebrate Cinco de Mayo and the Kentucky Derby, to various food events, see what’s going on in New York this week. Burger lovers, this week is for you. New York Burger Week, which runs through Sunday, is a celebration of trendsetting chefs and unique burgers in the Big Apple. Daily events include a burger and whiskey pairing dinner, a British burger invasion, a boozy burger brunch, and much more. Various locations. Queens is known for its wide array of tasty ethnics foods, and now you’ve got the chance to sample the borough’s best, all under one roof. At Queens Taste 2017, enjoy all-you-can-eat samples from at least 30 Queens restaurants, as well as artisan desserts, all-you-can-drink samples from local breweries, wine stores, and spirits purveyors, and the opportunity to explore the New York Hall of Science. Proceeds will help support the Queens Economic Development Corporation. New York Hall of Science, 47-01 111th St., Queens, NY. 6 p.m. – 9 p.m.
Get to know the who’s who of food in the Lower East Side at the 2017 Taste of Lower East Side event. Sample dishes from neighborhood eateries like The Stanton Social, Pizza Beach, Boulton and Watt, Bar Goto, and many more. There will also be an open bar, DJs, and plenty of games where you can win great prizes. Metropolitan Pavilion, 125 W. 18th St., New York, NY. 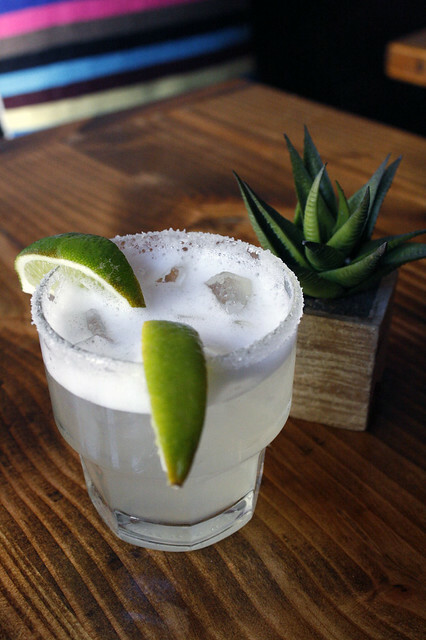 6 p.m. – 10 p.m.
Just in time for Cinco de Mayo, Analogue is hosting a Mexican-themed cocktail class, where you’ll learn to make agave-based cocktails and the perfect margarita. We can’t think of a better way to spend Thirsty Thursday! Analogue, 19 West 8th St., New York, NY. 6:30 p.m. – 8 p.m.
Cinco de Mayo falls on a Friday this year, which means you can go all-out celebrating this fun holiday. Fortunately, the party options here in NYC are endless. Check out Davio’s Manhattan for a rooftop fiesta featuring a custom margarita bar, Mexican beer and house wine, a selection of Mexican-inspired steakhouse bites, a photo booth, and a piñata filled with more than $500 worth of prizes. Speaking of rooftop fiestas, Mr. Purple is also offering food and drink specials on Cinco de Mayo and has a killer view of Manhattan that can’t be beat. Recently opened Street Taco will be serving up cheap eats and drinks all weekend long, including $1 chicken tinga tacos and $6 margaritas. If you’re in Midtown, quench your thirst with $5 tequila shots and $5 Mexican beers at Haven Rooftop, where you can also dance the night away to a live DJ. Various locations. Giddy up, it’s time for the Kentucky Derby! Make sure you celebrate in with a classic mint julep in-hand. Here a roundup of just a few of our favorite NYC bars that serve delicious variations of this classic cocktail: The Wren, Penrose, Tanner Smith’s, Distilled, Grey Lady, Brass Monkey, Clancey, Supply House, Ainsworth Midtown, Montrose, and HandCraft Kitchen & Cocktails. Various locations. With Cinco de Mayo and the Derby falling on consecutive days, brunch will be necessary to recover properly. We’ve recently loved Guac Tacos + Tequila and High Street on Hudson. Or find exactly what you’re looking for with our Bitchtastic Brunch Finder.